Add Life to Your Garden! above pest controls, but soil is the foundation for your landscape design. Pay attention to soil fertility, and you will experience fewer problems with sick or unhealthy plants. In healthy garden soils, life abounds. Earthworms, micro-organisms and bacteria each contribute to the cycle of garden life. Life in the garden can be hard for these little creatures. To help them along, it can be important to review and correct soil structure, adding supplements and amendments to ensure that the proper nutrients are present for both these little ones, and for our plants. Nutrients are the key elements that help ensure that garden soils are healthy and fertile. To determine what needs to be done to feed your garden soil, it is easy to obtain inexpensive soil tests which determine how much nitrogen, phosphorous, and potassium are present in the existing soil. 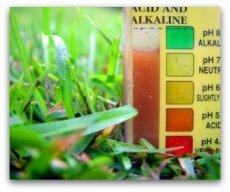 Soil testing will also tell you what the pH value of the soil is, whether the soil is alkaline or acidic. These soil tests are often available through your neighborhood garden centers. Garden soil health will contribute to or detract from your successful residential landscape design. Adding the right nutrients to your soil when you are starting a garden sets the groundwork that supports healthy, vibrant, and growing plants. The primary goal of soil amendments is to improve soil tilth. Soil tilth is defined two ways. The “easy” definition is tilling. However, the OTHER definition that becomes our goal is “the state of aggregation of the soil, and its ability to support plant growth”. Endless tilling of the ground does exactly the opposite! Too much tilling can destroy soil structure and break down the nutrients in the soil. OK, guess I’d better speak English here! Tilth, under the definition we are using, represents a state where your soil is “easily crumbled”, or friable. Friable soils have enough air space to allow drainage and allow the soil to trap nutrients, but not enough air space to allow water to leach out all of the nutrients. 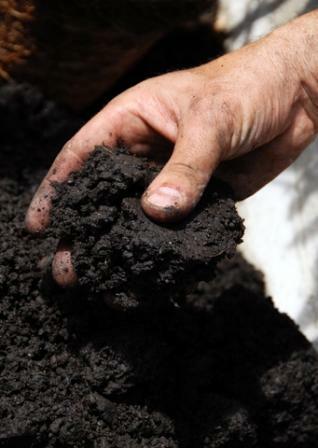 This textured soil is the ideal state for your garden soil. The three major components of any soil are clay, silt and sand. A mix of the three generally creates a friable soil, or healthy soil tilth. Too much clay traps nutrients, but also traps too much water, and may actually drown the plants you place in them. At best, plants have to work very hard to penetrate the soil, and are thus often stunted in growth. Too much sand causes soils to drain very quickly, which has the opposite effect of allowing water to leach all the required nutrients out of the soil, thus starving plants. Too much silt and sediment (medium sized particles of soil) can easily compact, and may cause poor drainage in a similar fashion to clay. Sand is needed in order to break up the silt, and clay is needed in order to trap and keep nutrients. The ideal mix of the different types of soil is called “sandy loam” which is made up of approximately 40 % silt, 40% sand, and 20% clay. Adding organic materials as soil amendments can improve every soil type. Organic material breaks apart silt and clay particles, while binding sandy soil particles so that they do a better job of retaining moisture. Adding organic materials, over time, can greatly improve your chances of ending up with friable soil. You can easily test your soil to determine whether or not it is friable. Take a trip into the garden a couple of days after rain has stopped, and dig up a bit of soil from about 6 inches deep. Take the soil in your hands and squeeze it into a ball. For this test to provide informative results, your soil should have just a little moisture in it, but not be wet. You will immediately know whether or not your soil is friable if the ball falls apart easily, but will still clump into a ball. Sandy soils, unless they are quite moist, cannot be formed into a ball. If the soil can be formed into a ball, and it stays together in a clump, whether hard or soft, it is very likely high in clay content. Soil that is friable will clump together, but upon poking at it or touching it lightly, it will readily fall apart. This soil usually represents a healthy mix of sand and clay and silt. being somewhere in the 6 to 7.5 range for most plants. Soils in the 0-6 range are called acid soils and soils 7.0 and above are called alkaline soils. Most garden encyclopedias identify pH requirements for plants as part of the basic information identified with each entry. Rhododendrons and azaleas, as an example, require more acidic soils. Soils that are too alkaline for these plants inhibit their ability to soak up needed nutrients, as they have adapted to needing a much lower dose of calcium than is present in alkaline soils. Conversely, plants such as acacia, bottlebrush, or date palms will tolerate highly alkaline soils. To determine your soil pH, you can use a purchased soil kit or have a professional do the testing. Gather samples from several different locations throughout your property to get the full picture. Now for a bit of a caution! Know something about what you are doing with a given area of the garden before deciding what soil amendments to use. You can raise and lower pH, change the relative content of the basic nutrients (potassium, phosphorus, and nitrogen), and improve soil structure in order to support the sort of plantings you prefer and based upon the planned use of an area. What Soil Amendment Should I Use? There are two basic categories of amendments on the market. Inorganic amendments are manmade, or mined. These may include materials such as perlite, vermiculite, pea gravel, or sand. While some of these materials are manufactured from natural materials, they are processed materials. Organic amendments are composed of plant and animal materials which are “alive”. These amendments are materials such as composts, grass clippings, and manures. Generally, when starting a garden, large quantities of material are needed in order to affect soil improvement. Manmade materials are generally more expensive to obtain, and are best left to situations where small amounts are needed, such as container gardens or smaller garden beds. Loosens compacted soils, loosens clay soils (if applied WITH organic matter), increases water holding capacity, provides potassium and trace minerals. Use in conjunction with organic matter to loosen soils. 5/lbs. / 100 sq. ft.
Raises pH, provides phosphorus and trace elements. Most effective in acid soils. Loosens clay soils, binds sandy soils, increases water holding capacity. A source of organic matter. Provides nitrogen, potassium, phosphorus. Adds organic content, provides nitrogen, potassium, phosphorous, trace minerals. Age for at LEAST 4 months before using. Adds organic matter, Provides nitrogen, potassium, phosphorous. Loosens clay soils, lowers pH, increases water holding capacity. Work into topsoil. Best in rainy climates as peat tends to dry out. There are many other soil amendments available on the market, and many variations on the above list. However, I’ve shared the above because I believe them to be the best for large scale soil amendment programs. In areas around most major cities, these are readily available on the market. As I stumble across information on the web that I think you will find interesting related to soil amendments, I will be adding links to those resources to this page, so don't forget to visit once in a while! "Worm castings" are great organic soil conditioners to use in your garden. 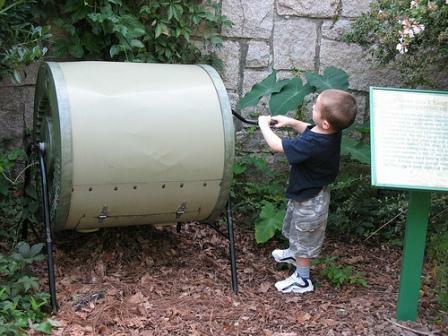 I think you will find Stephan's site on worm composting an interesting read! One more dose of reality now! While soil amendments can vastly improve fertility, friability, and drainage even in one season, they will not forever change the nature of your soil overnight. Soil amendments need to be applied consistently over time before they will permanently change soil textures. Time Life Books. The Complete Garden Guide. Alexandria, Virginia, USA: Time Life Trade Publishing.